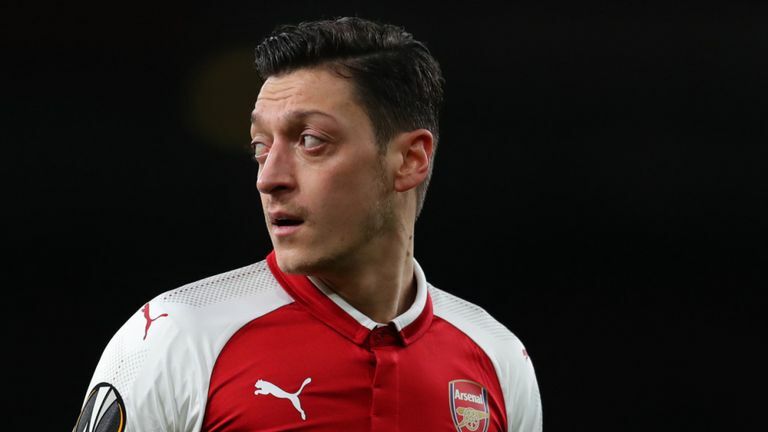 Arsenal and Germany midfielder Mesut Ozil has defended his actions after being criticised for meeting with Turkey's president Recep Tayyip Erdogan . Ozil and Manchester City's Ilkay Gundogan posed for a photo with Erdogan, which did not go down well the German Football Federation nor the local press. Stefan Effenberg and Oliver Bierhoff questioning whether either player should have been selected for the tournament. Taking to Twitter on Sunday afternoon, though, Ozil hit back at his critics and insists that he has no regrets over what was described as a political stunt due to Erdogan's controversial status. "In may, I met President Erdogan in London, during a charitable and educational event," he posted on the social media site. "We first met in 2010 after he and Angela Merkel watched the Germany vs Turkey match together in Berlin. Since then, out paths have crossed a lot of times around the globe. "I'm aware that the picture of us caused a huge response in the German media, and whilst some people may accuse me of lying or being deceitful, the picture we took had no political intentions. As I said, my mother has never let me lose sight of my ancestry, heritage and family traditions. For me, having a picture with President Erdogan wasn't about politics or elections, it was about me respecting the highest office of my family's country. "My job is a football player and not a politician, and out meeting was not an endorsement of any policies. In fact, we spoke about the same topic that we do every time we have met – football – as he too was a player in his youth. Although the German media have portrayed something different, the truth is that not meeting with the President would have been disrespecting the roots of my ancestors, who I know would be proud of where I am today. "For me, it didn't matter who was President, it mattered that it was the President. Having respect for political office is a view I'm sure both the Queen and Prime Minister Theresa May share when they too hosted Erdogan in London. Whether it had been the Turkish or German president, my actions would've been no different." Ozil played twice for Germany in their first-round exit from Russia 2018.